I try really hard to eat healthy. 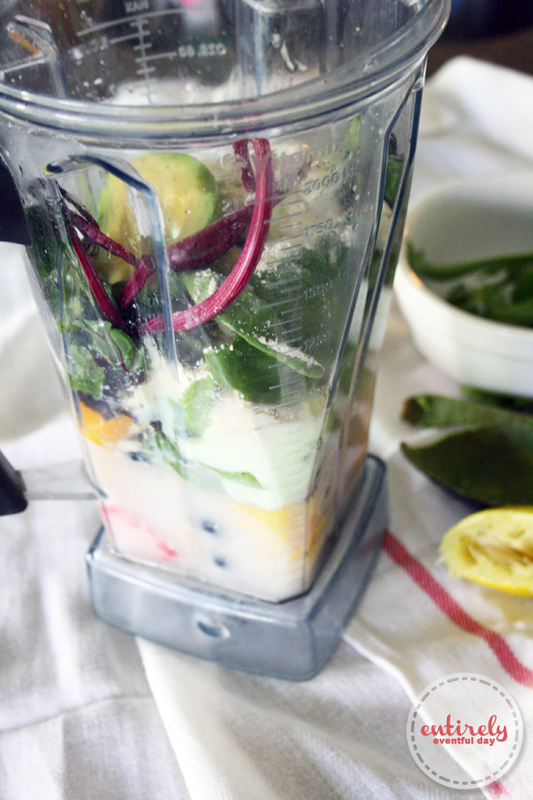 Smoothies seem to make it a little easier. After all, you can always plug your nose and chug, right? Wrong! No nose plugging necessary. Why? 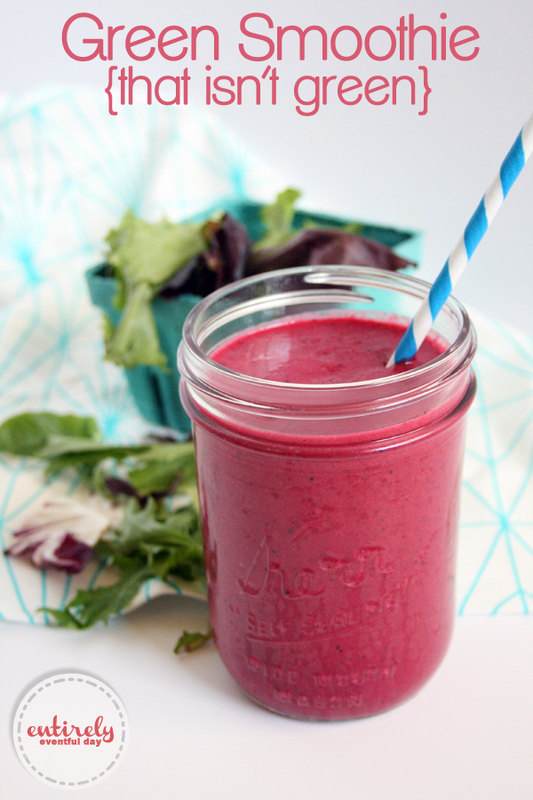 Mostly because this smoothie looks yummy. So while it has lots of veggies in it, somehow it's much for palatable. PS these would also be great as green smoothie popsicles. The secret ingredient is (da, da, da) beets. You heard me. 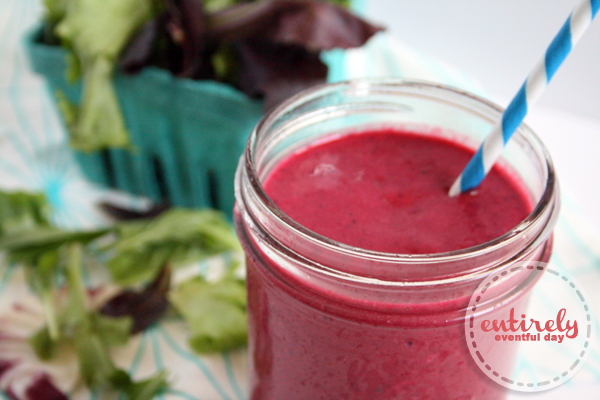 The depth of the pink will depend how much beet you put in the smoothie. I am using a big chunk here. But you might not be so brave, start small. Even a small piece will make it pretty. Oh, don't forget to wash the beet! 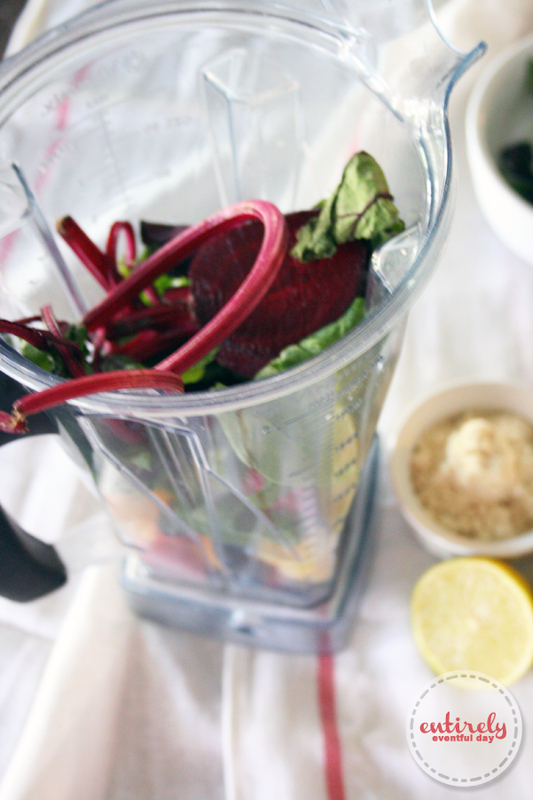 Not washing the beet will make your smoothie taste like dirt. Literally. 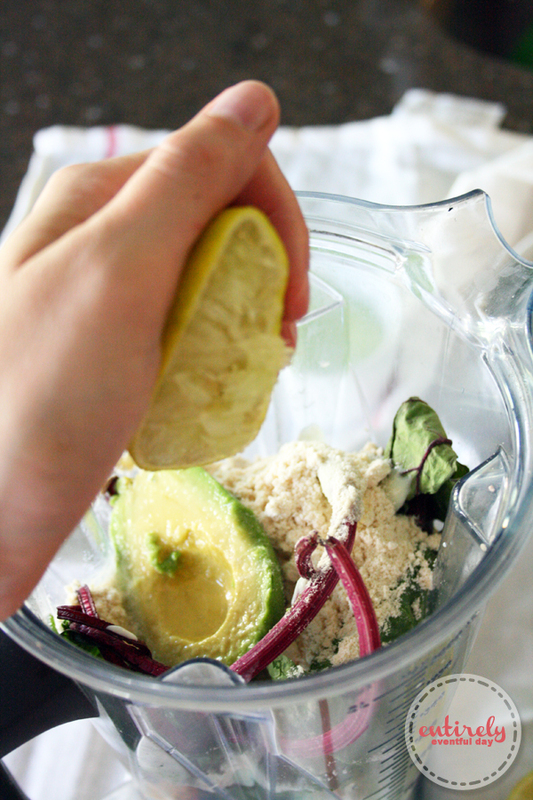 I like to add a lime to my green smoothies. I'm not super into measuring. Yes, those are the beet greens you see in there. Come on. They're good for you. 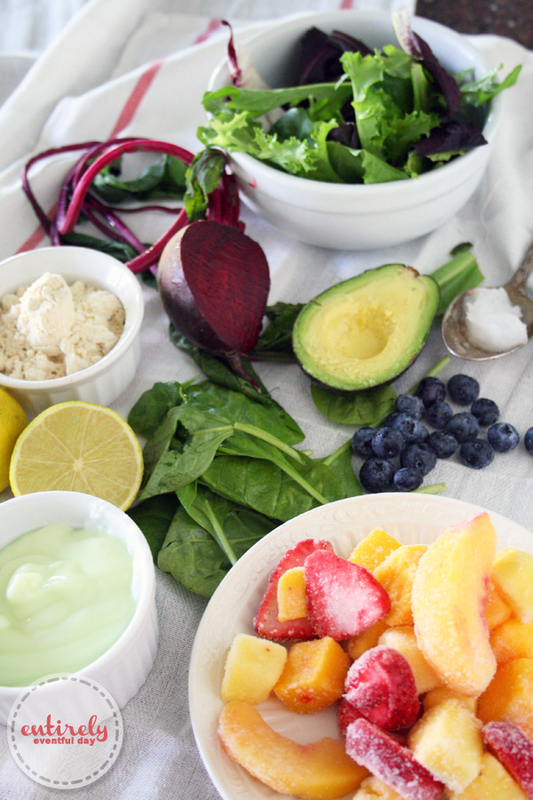 So pretty, even your biggest critics (kids) will think it must be yummy... because it looks like it.